White shino vase with marks by Warren MacKenzie. Visiting Concord, MA is always a treat with its quaint town square, a beautiful countryside, rich history and a bit of culture thrown in for good measure. Being a tree-hugger, one of the first trips that I asked my parents to take me on was to Concord to walk around Walden Pond and envisioned myself following the footsteps of Transcendentalist Henry David Thoreau. On a recent trip I was thrilled to see an engaging exhibit in the Lacoste Gallery at 25 Main Street. This little gallery features American crafts with a focus on ceramic artisans. Warren MacKenzie American National Treasure at Lacoste Gallery. 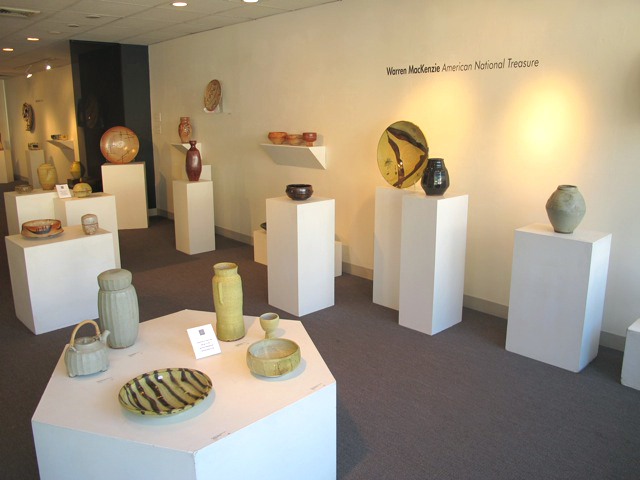 Their current exhibit has a vast array of pieces by well known potter Warren MacKenzie. 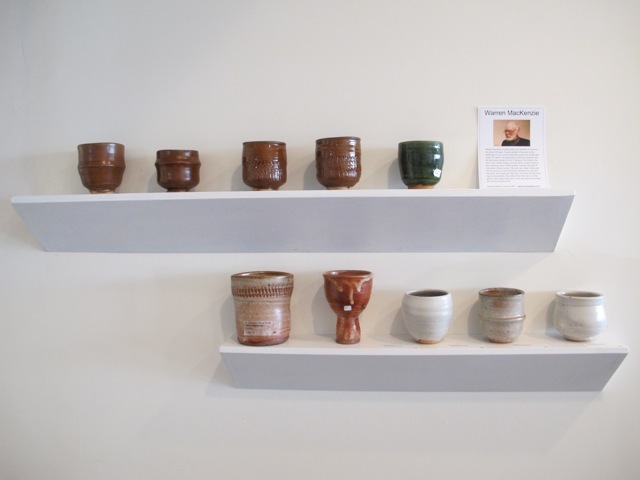 Warren considers himself a functional potter and produces about 5000 pieces per year. He’s interested in forms, surface texture, gesture and perhaps decorative devices. Warren’s work is collected by connoisseurs of pottery and found in the finest museums and considered to be a master by many. Assortment of cups by Warren MacKenzie. Warren has been producing his work and teaching for over 65 years. 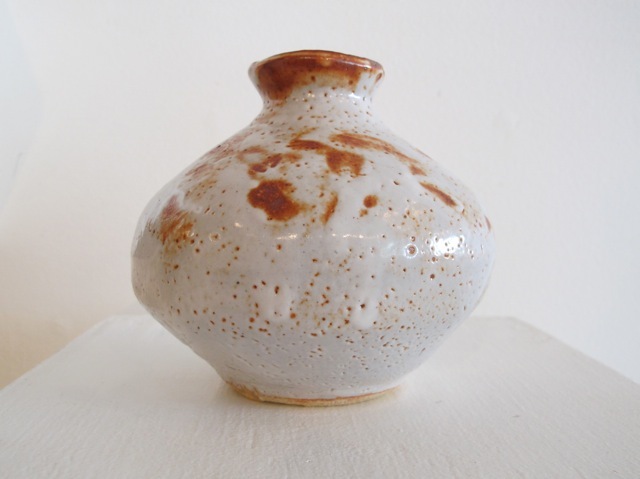 His pottery has been influenced by Bernard Leach of England, for whom he apprenticed, and Shoji Hamada. His pieces reflect the Japanese sensibility of pureness and simplicity that takes years of dedication to perfect. 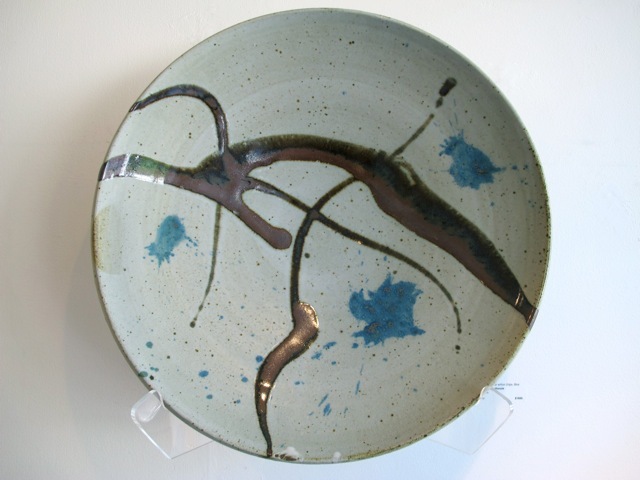 Large stoneware platter with iron drips. Warren’s pieces are sought after and coveted by many. The Lacoste Gallery is the exclusive gallery for Warren’s work on the East Coast so don’t miss this special exhibit that runs through Sept 13, 2014. Art Book Dept. at Albright Art. While visiting Concord I always make a point to visit the Albright Art Gallery & Supplies downstairs at 32 Main Street. 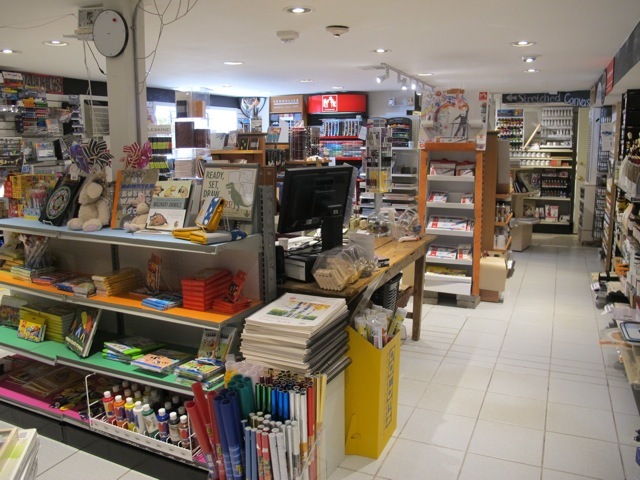 Although I had recently made a pilgrimage to my favorite art supply stores in Cambridge and Boston I thought this little jewel had a better selection of new artist tools, paints, pastels, mediums and color choices. Everything is well organized and a friendly staff to help out with all my questions. If you’re looking to see that obscure paint color or ask about the newest water soluble oil paint medium-this is the place to go. 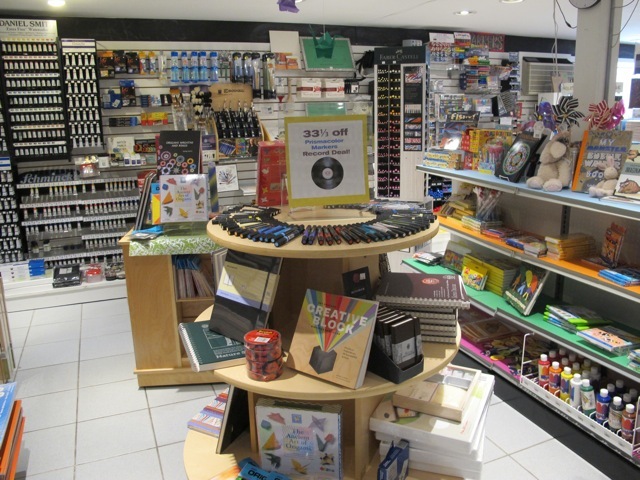 Find inspiration with new art supplies and acquire new friends for your paintbox. Another benefit is there’s plenty of free parking (in the shade) around the corning in the town parking lot. Surprise… right in the next room over the Albright has a rotating art exhibit with engaging artwork like these beautiful paintings by artist Julie Vinette. These high gloss oil and pencil on board are abstracts inspired by realism with a hint of Bernhard Richter. 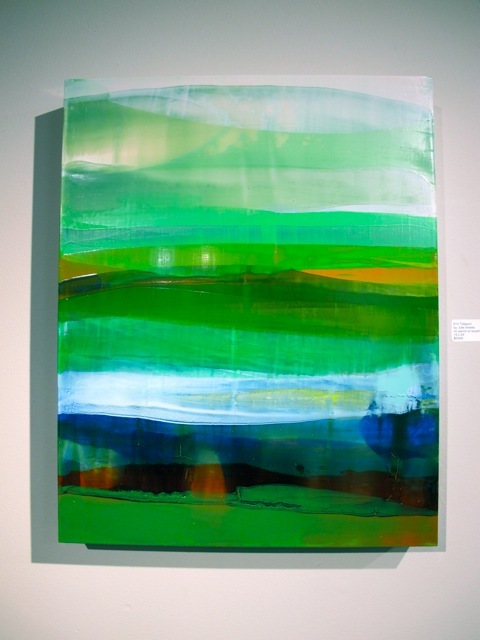 This exhibit runs through Sept 28th with an artist reception on Sunday, Sept 14th, from 3 to 5 pm. 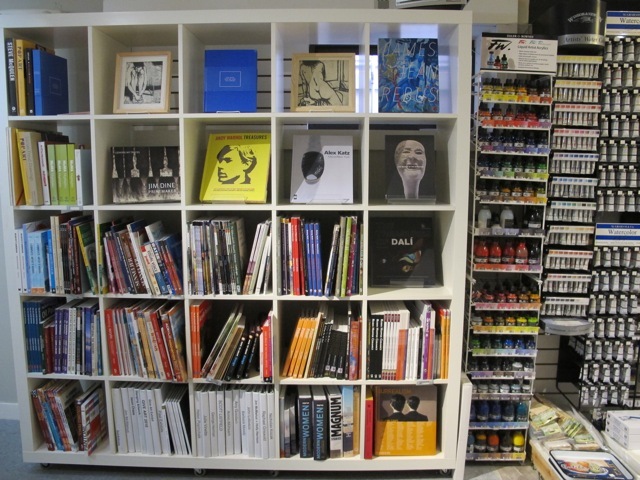 Seek out and find this art supply store + gallery for inspiration and professional tools of the trade. 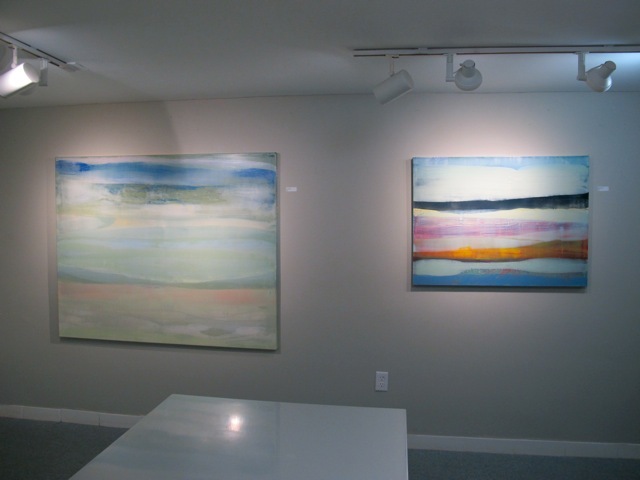 You are currently reading Functional to Abstract in Concord MA at donna ingemanson studio.